Did you know you could update your information on our website? Use your family id (envelope number) to log-in. Please contact the parish office if you have any questions. Students, parents and faculty throughout Nevada now have access to SafeVoice, an anonymous reporting system used to report threats to the safety or well-being of students. SafeVoice was established by the Nevada Department of Education under SB 212 in 2017 to protect student wellness, prevent violence and save lives. In partnership with the Nevada Department of Public Safety, the SafeVoice program provides students a safe place to submit tips concerning their own safety or that of others. A fully trained professional team of experts responds in an appropriate manner 24/7/365. Tips always stay anonymous. Learn more at http://safevoicenv.org. news straight into your inbox? Fill out our form to receive updates. 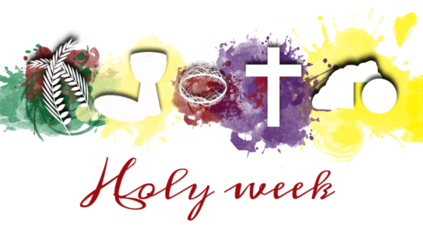 Please note...the parish offices, Mater Dei Chapel and the Kairos Gift Shop will be closed on Easter Monday, April 22. The church will close after Mass which will be celebrated at 9:00 a.m.
For a complete list of our Easter holiday hours, click here. 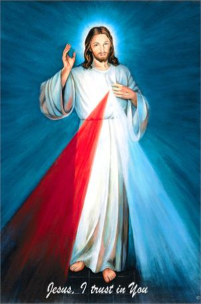 Join us at 2:00 p.m. on Sunday, April 28 to pray the Divine Mercy Chaplet in the Mater Dei Chapel. Bring your Divine Mercy icons to be blessed. children in grades K through 6. Register by May 5, 2019 for the early registration price. Check out the new SEAS School & Parish online clothing store, Pelican Perch for the latest in SEAS apparel! Go to https://pelicanperch.itemorder.com/sale for t-shirts, hoodies, jogging pants, hats, gloves, tote bags, blankets, and more — all sporting the SEAS logo or catchy phrases. See our monthly promotions featuring St. Elizabeth Ann Seton quotes. 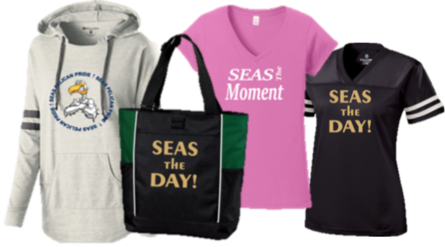 Order your SEAS Spirit gear today and show your Pelican Pride! We, the community of St. Elizabeth Ann Seton Roman Catholic Church, are dedicated to continuing the mission of Christ by proclaiming the word of God, celebrating the sacraments, and exercising the ministry of charity. We strive to respond to the Lord’s call of discipleship by nurturing a sense of belonging among parishioners and providing opportunities for living out the Gospel while joyfully embracing life and spiritual transformation. This commitment is our baptismal call and manifest in worship, education, evangelization, stewardship, fellowship, and service as we desire to do God’s will under the guidance of the Holy Spirit, our patron saint, St. Elizabeth Ann Seton, and the teaching office of the Catholic Church. Baptisms for infants and children up to 7 years of age are celebrated on Sundays either during Mass or at 1:45pm. Parents and Godparents should attend the baptism class on the first Tuesday of the month at 6:30 pm in the Church. A 6 month minimum time period is needed to complete the preparation required for the Sacrament of Matrimony. The first step is for both parties to meet with Fr. Bede Wevita. To make an appointment please call the parish office. Call the parish office at any time if you need to receive the anointing of the sick. In case of hospitalization, let the hospital staff know that you would like to have one of the Catholic priest chaplains see you. If you are homebound, please call Tom & Patti at 702-586-8093 and an Extraordinary Minister of Holy Communion will visit you. In case of hospitalization, inform the hospital staff that you are Catholic and would like to receive Communion. Mass Intentions may be requested by visiting the parish during office hours. The person requesting the intention may ask for a card that can be sent to notify a person that a Mass intention has been requested. The priest silently remembers the intention requested as he celebrates the Eucharist. In the event of a death of a loved one, please contact the Funeral Ministry at 403-8416 BEFORE making arrangements with any of the professional services. Pre-planning is available. If you are interested in receiving a house blessing, please call 702-228-8311 for more information. Call the parish office at 702-228-8311 if you need to receive the Sacrament of Anointing of the Sick at home or in a hospital. For assistance after hours or on Sundays, call the answering service at 702-388-9571. A priest will be notified and will contact you directly. The sacrament is also offered communally within the Mass. Watch the bulletin for upcoming Anointing of the Sick Masses, scheduled on a quarterly basis. *Closed during the Triduum, Holy Days, and public holidays. morning on cable channel 6 at 7:30am. Download the St. Elizabeth Ann Seton App! St. Elizabeth Ann Seton Catholic School is fully accredited by the Western Catholic Educational Association (WCEA). Having completed our most recent WCEA school visit on March 7, 2018, we wish to share our "Report of Findings" with the entire parish and school community. At St. Elizabeth Ann Seton, we believe that continuing evaluation and improvement of the curriculum is essential to the development of an effective educational program that promotes a lifelong love of learning. The accreditation process is more than a stamp of approval or quality assurance. It is a collaborative results-oriented school improvement process that serves as the underpinning of an effective school.